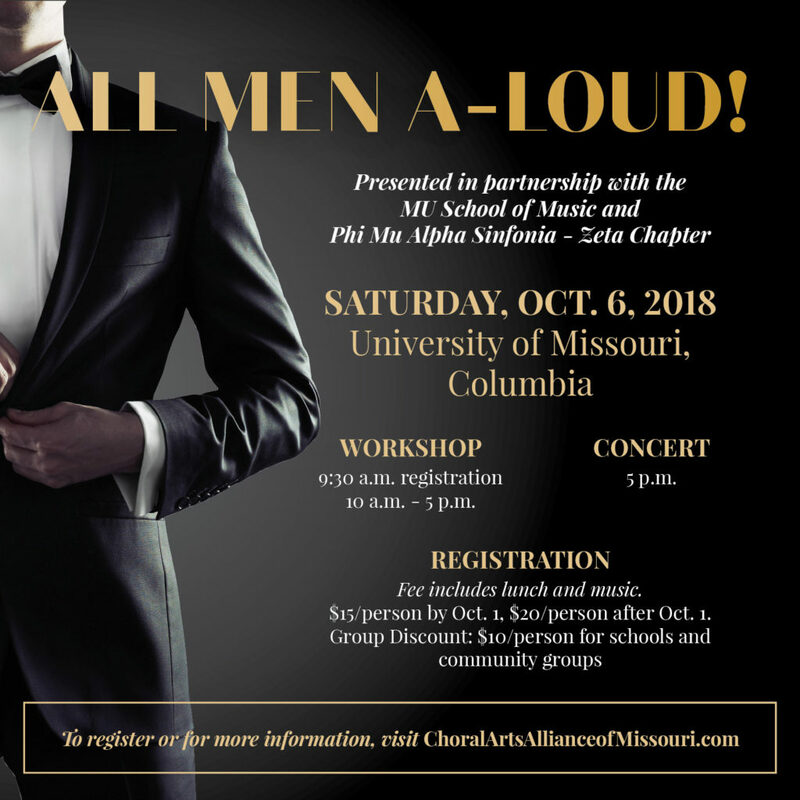 CAAM and MU partner to host the fourth-annual men’s choral workshop for area singers ages 10 and up. Dynamic and knowledgeable conductors will help singers dissect common vocal issues in a positive and supportive environment, culminating in a performance featuring workshop participants. Singers will sing in a mass choir, as well as a selected special interest track focusing on a specific music style (a cappella/pop, gospel, barbershop, and standard classical choral literature). Lunch and music are included with the low registration fee. Join us in celebrating the beauty and power of the male voice. No preparation is needed. Registration fee includes lunch and music.